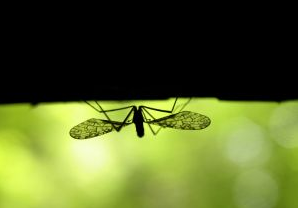 World Malaria Day is pushing drug development and prevention of this deadly disease. Millions of people live in endemic malaria regions, these people still lack access to prevention, diagnostic testing and treatment. The fact many of these people and regions are the world’s poorest is no coincidence. Lacking resources and funding, governments may have the will to fight malaria, but lack the infrastructure. The theme for this year’s World Malaria Day on 25th April, and continuing until 2015, is “Invest in the Future: Defeat Malaria”. This disease kills 600,000 people a year, 90 percent of them in Africa and most of them children under the age of five, according to UNICEF. World Malaria Day is aiming to encourage investment in malaria prevention. This year sees the replenishment of the Global Fund to Fight Aids, Tuberculosis and Malaria, which funds 60-70% of all international investment in malaria. Since its establishment in 2002, the Global Fund has supported more than 150 countries, providing 310 million nets treated with insecticide to cover people’s beds. These efforts have resulted in a rapid reduction in malaria deaths, with global mortality rates falling by 25% since 2000, and by 33% in sub-Saharan Africa (WHO). There is still a way to go however, with recent research showing mosquitoes are genetically adapting, making drug development more difficult.